Imagine a feature that allows you to access different stuff in your computer in one easy to launch location. When you hear about it, you might already be thinking that it is a third-party software that can be installed to your Windows machine for free but we’re actually referring to a built-in Windows feature that has been removed in Windows 8 and Windows 8.1 but is now resurrected and is made even better in Windows 10! This feature is our all-time favorite and dearly-loved Start Menu which is making a comeback in Windows 10! The removal of this very important feature in both Windows 8 and Windows 8.1 has really spurred a lot of negative reactions from long-time Windows users but now that it has returned in Windows 10, all of the problems that were brought by the Start Screen will now be over! So let us continue finding more about the capabilities of this new and improved Windows feature and as continuation of the first part for this tutorial series, we will now move on to the rest of the items that can be pinned to it so be sure to get your Windows 10 computer ready and follow every step that we will be showing below. 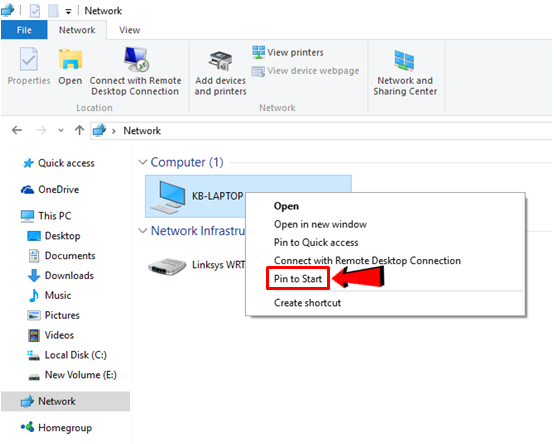 If you are currently connected to a network that has multiple computers, devices and shared resources connected to it then you can pin a network location to the new Start Menu for easier access. This is no doubt faster that accessing File Explorer and having to open the computer or device that you want to access. To do this trick, you will first need to open the “Network” section of the File Explorer Window then right-click on the device/drive that you want to pin to the Start Menu. After the device/drive or network location is right-clicked, a right-click menu will appear and from here, you should be able to see an option which says “Pin to Start” and you will simply need to click on it in order to have the network location pinned into the Start Screen. Now, you can quickly access it from the Start Menu instead of taking the longer route which involves the File Explorer Window and some other steps! 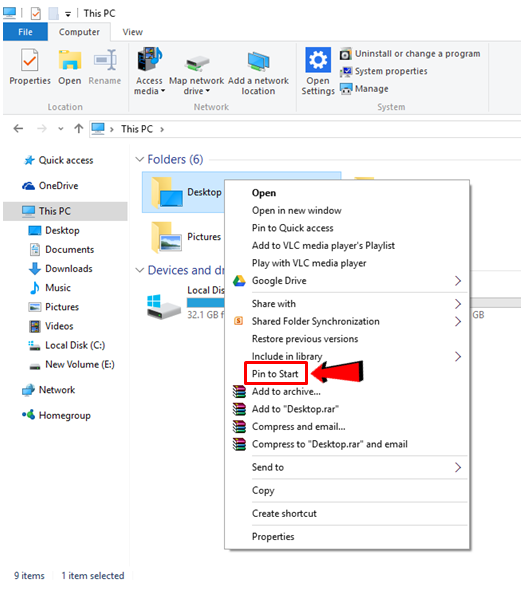 Another crucial trick that you need to learn especially if you want to have quick access to your files and many other stuff that are saved in libraries and folders is pinning them to the Start Screen. To start, you will need to open File Explorer by pressing the “Windows + E” keys. Once it opens, you will simply need to browse to the folder or library that you want to pin to the Start Menu and once you find it, just right-click on it and a right-click menu will appear which looks exactly like the one shown on the screenshot below. 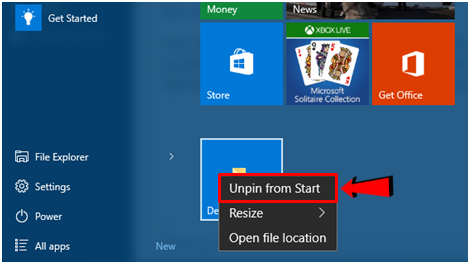 On this right-click menu, all you need to do is click on the option that says “Pin to Start” and after doing so, the folder or library will automatically be pinned to the right portion of the Start Menu. 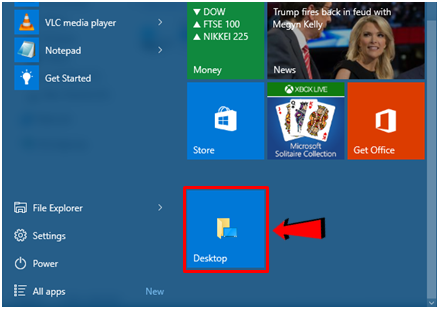 What if the folder that you want to pin to the Start Menu is located somewhere else like the Desktop screen? If this is the case then you won’t need to panic because the process of having it pinned to the Start Menu is just the same. To do this, just right-click on the folder from the Desktop screen then hit “Pin to Start” from the right-click menu that would appear. Remember, for whatever stuff that you want to pin to the Start Menu, just do the right-click gesture on it and look for a “Pin to Start” which you will need to click and that should instantly work like magic! Another important stuff that you can actually pin to the Start Menu so you can access them a lot easier and quicker are settings. Now there are plenty of settings to choose from but if you are constantly getting into a specific one like the “Network and Internet” settings category, all you need to do is access the modern Settings screen first by clicking on the Start Button then hitting the “Settings” link which is located at the bottom-left portion of the Start Menu as highlighted below. Now, once the modern Settings screen opens, you will be able to see the different setting categories that you can actually pin into the Start Menu instantly. From here, just look for the Settings category of your choice, right-click on it then hit the “Pin to Start” option which is the only one that would appear as highlighted on the screenshot below. 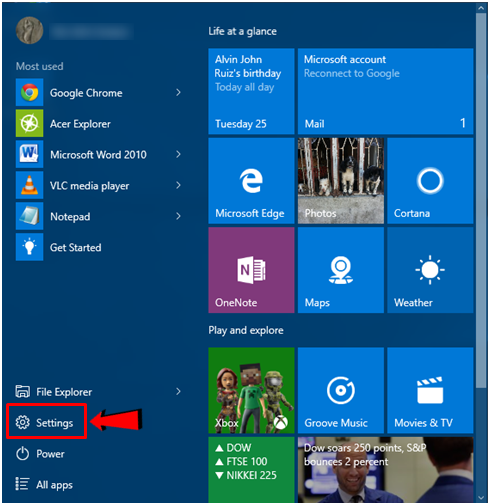 After the setting category is pinned to the Start Menu, you will need to make sure that it is really pinned on the Start Menu so check it out ad in case you don’t see it pinned there, just do the same step once again to make sure that the item is pinned and you can really access it from the Start Menu this time. One of the least accessed location or feature in the Windows operating system is the Recycle Bin. This is true in almost all of the other versions that have existed before Windows 10 and this is mainly because you only access it whenever you have accidentally deleted something which you would like to restore to the location where it was previously stored before deletion. If you often access the Recycle Bin then you can also pin it to the Start Menu and again, the method in doing it is just similar with all the other items that can be pinned to the Start Menu. 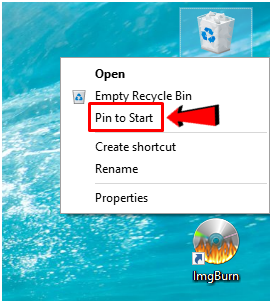 Just right-click on the Recycle Bin icon that is found on the Desktop screen then hit “Pin to Start” from the right-click menu that would appear as highlighted on the screenshot below. Now, in case the Start Menu gets a little bit crowded and you want to remove some of the items and shortcuts that you have pinned earlier or even the existing ones that are pinned on the Start Menu by default, all you need to do is right click on the tile or shortcut that you want to unpin and on the right-click menu that would pop out, just click on “Unpin from Start” as shown below. As you can see, pinning items into the new and improved Start Menu that is found in Windows 10 isn’t really a complicated thing. You just need to point on the folder, shortcut, app, network location or whatever it is that we have shown in this tutorial series then click on “Pin to Start” and it will instantly be added to the right portion of the Start Menu. Do this with all of those hard to access stuff in your computer and you’ll surely have instant access to them from the Start Menu anytime!